A very versatile scope able to realize distances of up to 1500m. 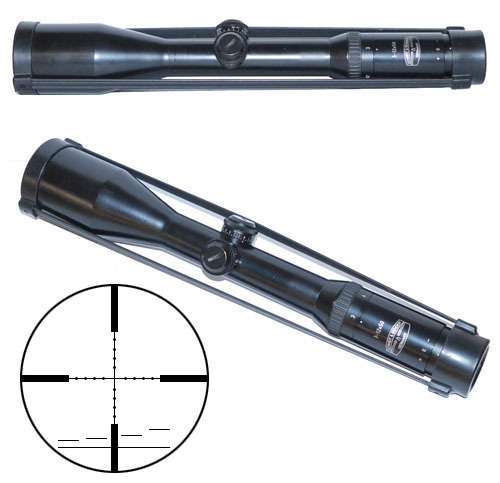 The 3-12x50 Police/ Military model is the basic version of this scope. The reticle is located in the first focal plane permitting a distance evaluation in all magnifications, fitted with Police Reticle. Serial Number 204427. Condition: Used excellent. Ref: SC21. Price: £985.00 + £8.00 p&p.